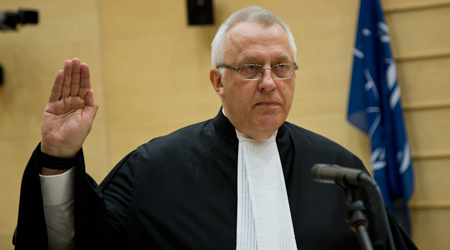 On Wednesday, September 9th 2015, James Stewart, Deputy Prosecutor of the ICC is presenting a lecture entitled “International criminal law – a personal note on its practice and current challenges”​. ​The event takes place at 7pm and is hosted at the T.M.C. Asser Instituut in Den Haag, the Netherlands. Registration is not necessary as seats are served on a first-come-first-served basis. Events are public and free of charge.